It all begins on Saturday. The 2019 Grand Prix Zagreb Open kicks off this weekend in Zagreb, Croatia. The US delegation is scheduled to arrive in-country on Thursday, which essentially means that as soon as they land, getting down to weight will become an immediate focus. But once that’s out of the way, everyone — athletes, coaches, and fans alike — should have a great weekend of Greco to look forward to. That’s because (as mentioned previously on this platform and elsewhere), the ’19 Zagreb Grand Prix is a United World Wrestling “Ranking Series” event. In the recent past, this has been a tournament known for providing stiff competition, anyway. But now that it is included in the Ranking Series, Zagreb is attracting more international stars from outside of central and southeast Europe. We went over this already — World and Olympic champs like Kim Hyeon-Woo (77 kg, KOR, world no. 3), Riza Kayaalp (130 kg, TUR), Peter Bacsi (82 kg, HUN, world no. 1), and the just-announced Ryu Han-soo (67 kg, KOR) are all on-board. 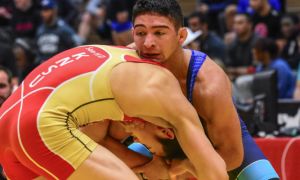 Of the 13 American athletes who will be competing this weekend, five are holdovers from the 2018 World Team with six others who occupy spots elsewhere on the current National Team. But there are only six weight classes expected to be represented, so friendly-fire (aka, two US guys meeting in the tournament in whichever round) is a likelihood. John Stefanowicz (Marines) is the lone US competitor at 82 kilograms; meanwhile at both 77 and 97, there are three American athletes in each weight. 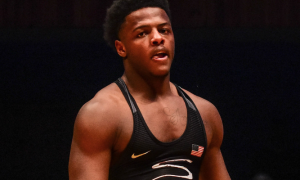 77 kilos offers 2017 Junior World Champion Kamal Bey (Sunkist, world no. 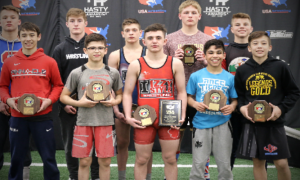 7), World Team member RaVaughn Perkins (NYAC), and Peyton Walsh (Marines). 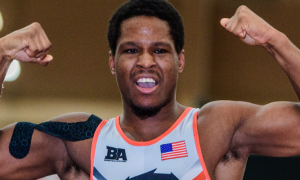 97 boasts two-time Senior World Team member G’Angelo Hancock (Sunkist), US Open champ Daniel Miller (Marines), and “Big” Nick Boykin (Sunkist). It’s a similar potential issue at 60, 63, and 87 where there are two Americans apiece, but that’s how it goes. But we need to see it. All of it. And the best part is that Zagreb, for however entertaining it may happen to unfold, is just the first salvo. For later on this month, the US is also making its way northwest to Hungary for that Grand Prix. Conversations with several of the athletes heading overseas, including RaVaughn, Hancock, Dalton Roberts (60 kg, NYAC/OTS), and more. 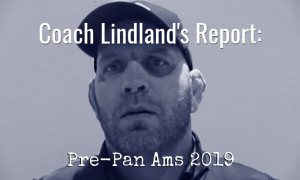 Live coverage and post-session recaps of the tournament. 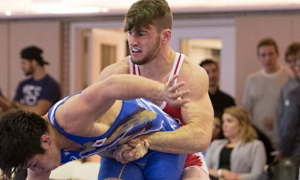 The 2019 Zagreb Grand Prix can be viewed live in the US via FLOWrestling (subscription required) beginning Saturday morning at 10:30 am local time (4:30 am EST). 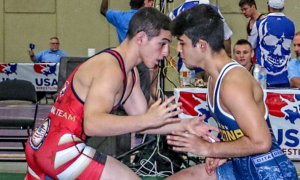 Greco-Roman was included in France’s Henri Deglane Challenge this year, and going by the placings, there are probably some very good matches worth checking out if/when they ever become available to watch. 2014 World Champion/2012 Olympic silver medalist Arsen Julfalakyan (77 kg, ARM) was back in action for the first time since the Pytlasinski, winning gold over Evrik Nikoghosyan (FRA). Nikogosyan, himself originally from Armenia, began his career at 74/75 kilos but had moved down in recent years to 71/72. That he was up in weight in France may indicate that 77 is where he will be from now on. Interesting, particularly because he’s rather large for either weight class. Another World champ from 2014, Melonin Noumonvi (FRA) also managed to prevail, as he defeated Armen Grigoryan (RUS) in the 97-kilo final. 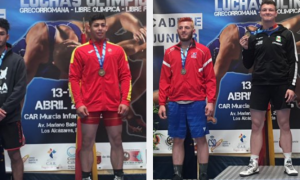 2017 World bronze Yasmani Acosta Fernandez (130 kg, CHI) and grindhouse Karen Aslanyan (67 kg, ARM) were other notable athletes who took home titles, as well. *Note: 63 kilograms was uncontested.